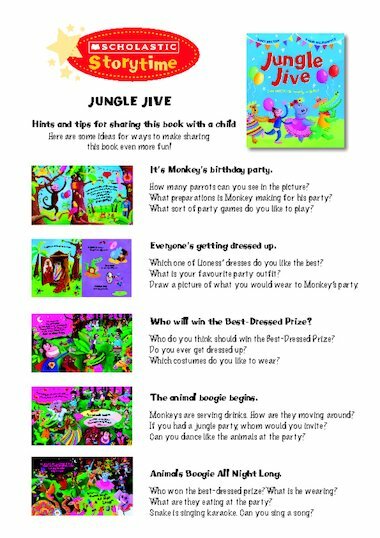 Fun new reading notes for Jungle Jive by Tony Mitton and David Wojtowycz. Scholastic Storytime notes contain tips and activities to aid parents, teachers or carers who are helping a child to read a particular Scholastic book. Each sheet can be downloaded and printed out.